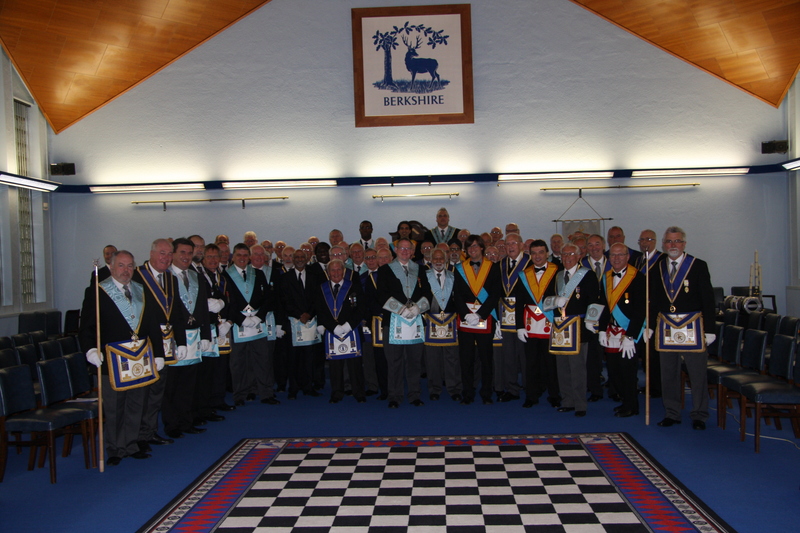 Members of The Constante Fidélité Lodge and The Old Sunning Lodge in the Lodge Room of The Berkshire Masonic Centre. 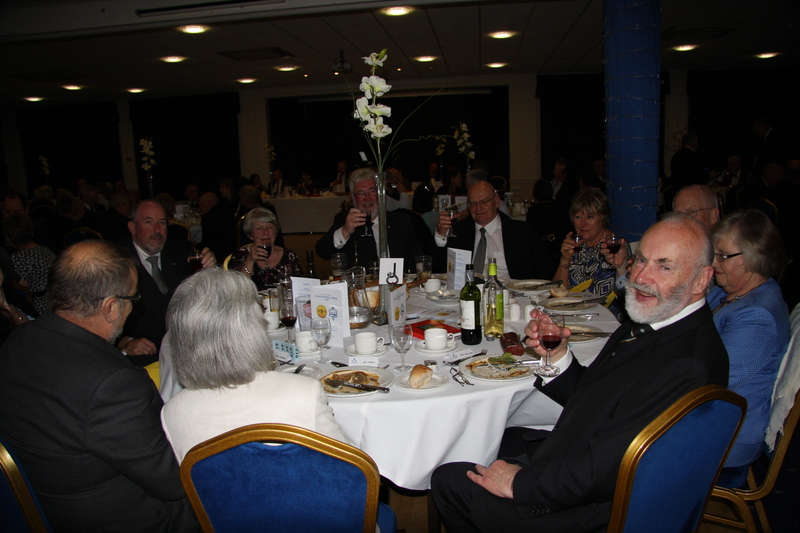 On Friday 1st May, Old Sunning Lodge welcomed Brethren from The Constante Fidélité Lodge No.19 of the Regular Grand Lodge Of Belgium. 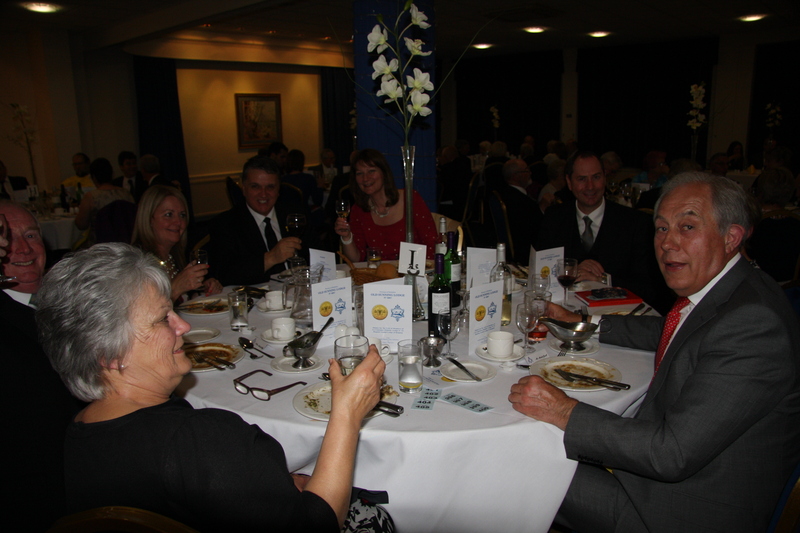 The Brethren and their guests joined us for the evening. 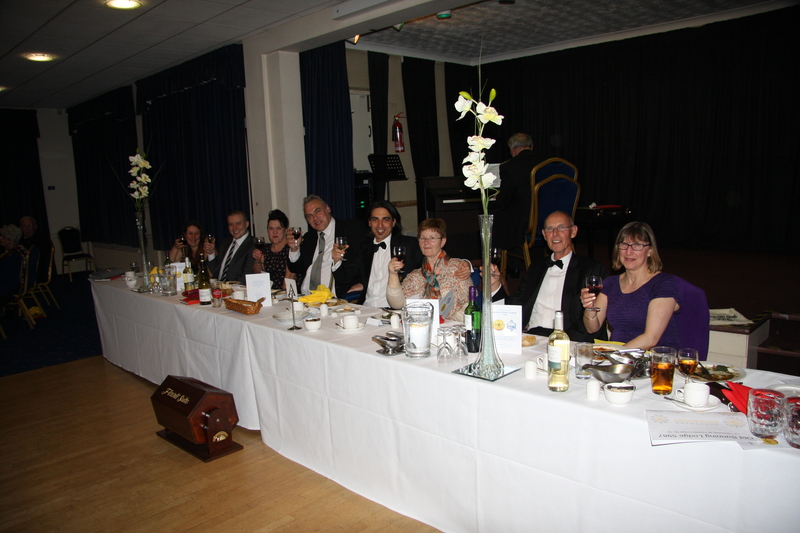 Members of The Old Sunning Lodge held a special meeting and were treated to a demonstration of the Spring Equinox Ceremony by the Belgium Brethren. 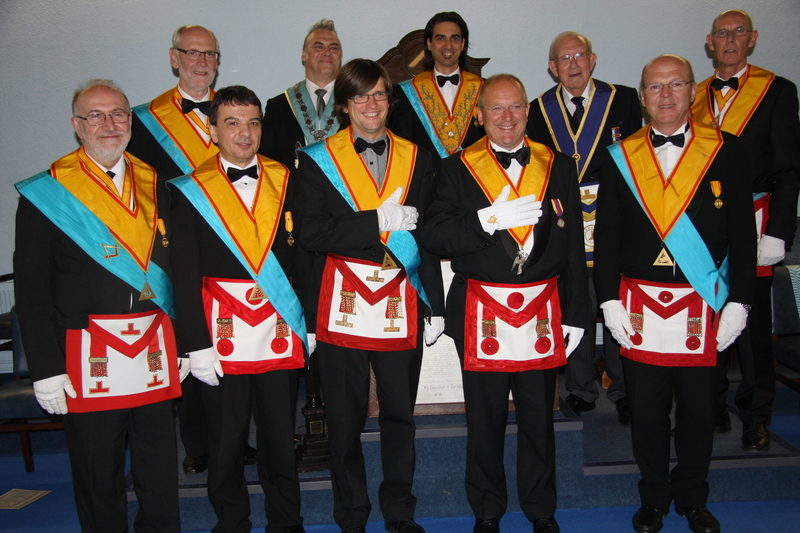 The members of Old Sunning Lodge enjoyed a ceremony rarely performed in the UK. 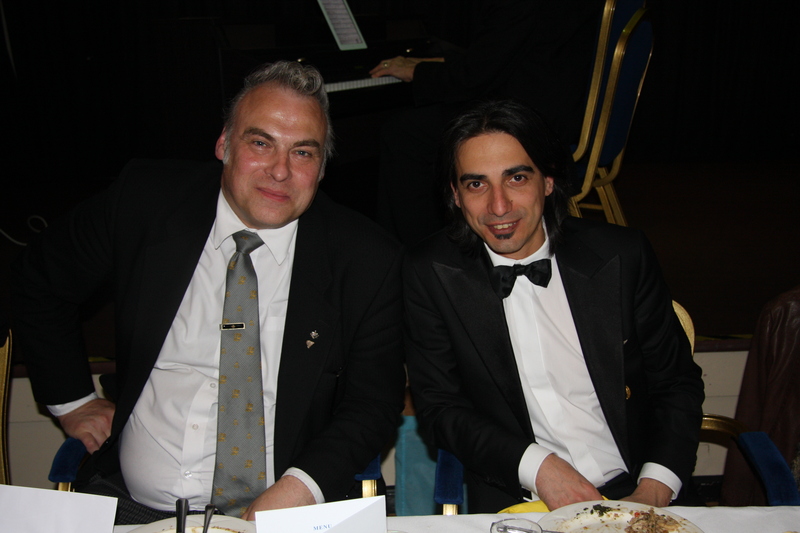 The quality of the ceremony was excellent. 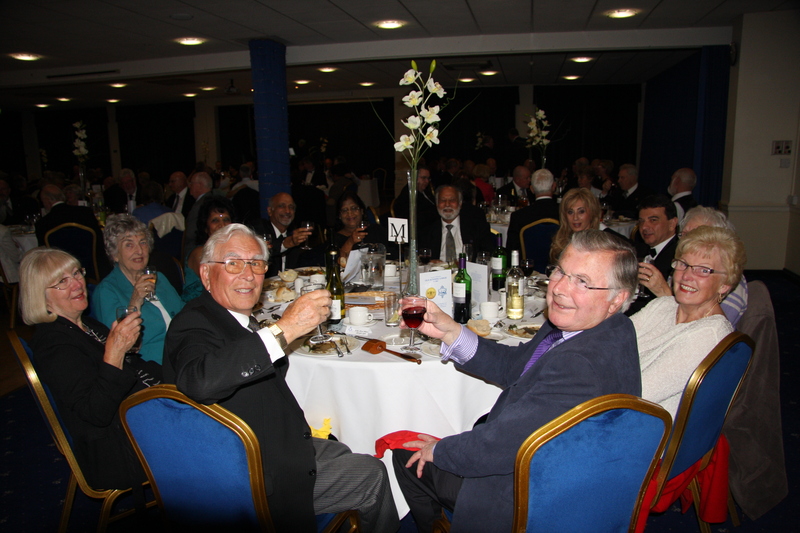 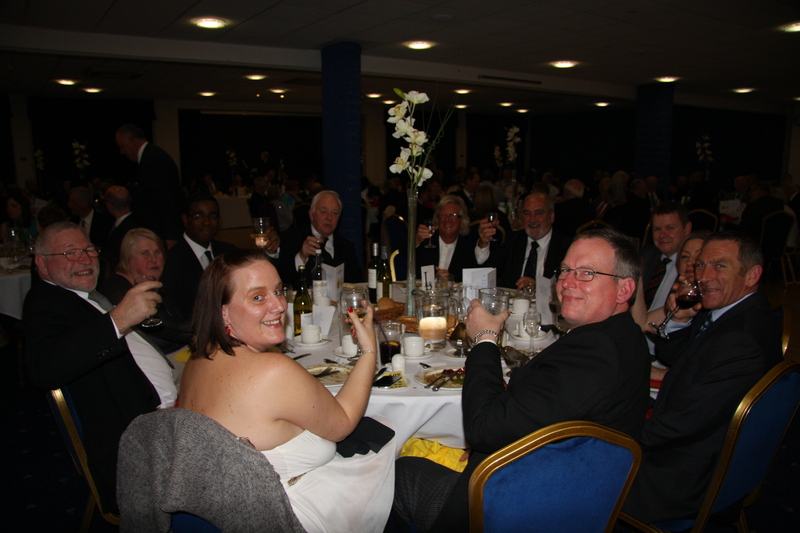 Following the meeting, members and their guests enjoyed a lovely meal known as a White table.